Adoption starts with loss, and ends happily ever after … Or does it, really? To share one’s life journey with the world takes courage. It is tough and often painful work. It’s not the adoptive parents’ right, or the so-called happy adoptees’ right, to criticize what is written, because it comes from the writer’s soul. Please respect that, and respect the fact that not everyone who is adopted has had a great, wonderful life. You may have heard the phrase “Adoption is a permanent solution to a temporary problem”. I know that I have used it myself a few times before on my blog. The part about “temporary problem” has to do with the situation which leads to adoption, such as single motherhood or poverty. Many adoptions could have been avoided if, instead of taking the children away from their natural parents during such periods of hardship (which is the “permanent solution” part) the parents might receive help, financial or otherwise, which would allow them to raise their children themselves. Adoption is permanent – and often destructively traumatic both to the children and to their parents. By helping the natural parents one would ensure that, when whatever difficult situation they are in, the children would still have a chance to grow up in their proper home in the care of their proper family. And yes, Adoption is a business, a trading of souls. This must be understood. It is as plain as the nose on your face. And adoptive parents must also understand that we adoptees never came from them: we came from our natural parents. To deny this truth is disrespectful and ruthless. So many books, blog posts, essays and articles have been written about the problems of adoption and the struggles of adoptees. The truth is all out there, easily accessible, and anyone involved or interested in adoption has only to reach out to learn. To not do so is to blindfold and lull oneself into a dream of lies that says problems do not and cannot exist. Please wake up! You can’t mould us into something that we are not. If you think you can, then you have swallowed the fairytale whole, and you’ve chosen to believe that everyone will live happily ever after. But so many things can and do go wrong with adoption! To think that an adopted child can simply start over fresh is an illusion. It’s not that simple. The fact is that every child, however young when adopted, carries emotional baggage, the results of traumatic experiences that led up to the adoption – and the adoption itself is one more of those. It’s time to recognise things for what they are. For the people in Adoptionland this means to think different, and to rid themselves of the illusions that keep them from seeing the truth. Adoptive parents must learn to raise their adopted children with the respect and care that they need, and adopted children must understand that many of their emotional problems stem from being adopted – both the adoption itself and their experiences from before that. And, above all, things must change so that adoption no longer is the preferred solution to any problem, but that it instead becomes a last resort when all other options have been tried and exhausted. Personally, having grown up as an adoptee, I would prefer to see adoption abolished completely. Those of you who read, understand that when someone writes from the depth of their soul, it is not an invitation to find faults or make rude comments. Do not criticise someone until you have walked in their shoes. And if you have nothing nice to say, then it may be better if you say nothing. Not many share as much deep, personal stuff on their blogs as I have chosen to do. I could of course have chosen not to, but then this blog would have had no purpose: it would not have been the same without sharing my heartfelt feelings, painful memories and warm ones, as well as humour and despair. Much of the raw emotion that I have dug out of my heart and the core of my soul has found its way into my blog, and I have cried enough to fill rivers and streams in the year that went by since I started writing my very first blog post. I wish for 2013 to be a year when we learn to be more compassionate towards each other, no matter where we come from. For a while you held me. I looked at you and I felt safe. I was loved for a moment. Like the wind, your sweet, kind words flew away, never to be heard again. Your kind touch, your voice and face, gone in a second. I was just a tiny bundle when you went home to God. You left me when I needed you the most, though we shared your last moment on Earth. My heart has ached now for over four decades. When will I find peace? Where can this girl find treasures, like hidden memories of you? Somewhere inside I know you well, your face, your shape, your voice, but its so hard to find you again. And my grief is an endless ocean of tears. I miss you Umma. I am craving for your love. Your absence filled my world for too long. I think of you whenever I see a falling star, the rainbow or the Northern Lights. I think of you when I see the waves on the sea and feel the wind in my face. Because like the Elements on Earth mean everything for our lives here, you were everything to me for a brief time: my beloved Umma. One of my few happy childhood memories is an old Christmas cookie recipe from my grandmother on my adoptive father’s side, which my adoptive mother baked from time to time. I’ve made a tradition of baking these with my children before Christmas every year. They are a light, golden colour (my boyfriend says they’re Golden Retriever-coloured), sweet and slightly crispy, and have their place right next to the gingerbread cookies on our table. And like gingerbread cookies they may be decorated with frosting, plain white or coloured according to your personal preference. You may eat them along with hot chocolate, coffee or mulled wine (which in Norwegian is called “gløgg”), whilst watching the snow falling outside the window, listening to Christmas carols and feeling the butterflies in your stomach flutter about as you look forwards to the holiday and to spend time with your closest family and friends, which for me is what Christmas is all about: lots of good food in the company of dear, happy faces, and making sure every year that my children experience a much better Christmas than the ones I grew up with. May this season be blessed, and help heal old wounds in the depth of my soul and others’. May it bring joy and peace to children who live in troubled families, who maybe suffer abuse, and may not look forward to Christmas. I know this too well, as I was one of those children myself. This post is a season’s greeting from the cold North. I wish you all a merry Christmas, and a happy new year, everyone who read my blog and have followed me so far on my journey of healing. I thank you all from the bottom of my heart, and I hope that each and every one of us can help a troubled child in this season, which is indeed meant to be a happy one. It could be the kid next door. Reach out a hand, as a good, compassionate fellow human being. Even if it means you have to contact the police or child protective services. Pay it forward and get the ball rolling. I wish someone had done that for me when I was a little girl. If everyone will take a small part in this responsibility, maybe this world will become a better place to live for all some day. Wheat flour to make a perfect doughMix everything together in a bowl, keep adding flour and knead until you have a smooth dough. Take about a quarter of the dough at a time, place on table and flatten with a rolling pin until about 2-3 millimetres thick. Use gingerbread men cutters to cut out cookies from the dough, put onto baking plate covered with parchment paper, and place in oven at 200°C for 3-4 minutes. They are finished when they are white to light golden brown and slightly puffed up. If you use a hot air stove, the cookies will be more puffed, and a bit more crispy too. Do not leave in oven for too long, as they burn easily. A bit of trial and error may be required the first few times. Leave on a cooling rack for a few minutes. When they’re done cooling, they should be sweet and slightly crunchy, and ready for the cookie jar to wait for Christmas. Be warned that the ammonium bicarbonate does smell rather intensely, both when you mix the dough and when you take the cookies out of the oven, so you may want to keep your kitchen windows open during the worst of it. It’s well worth it, though. Congratulations! It’s a Living Doll! Like any other day the playground is filled with children going about their playful business under the watchful eyes of their mothers. A little to the side, however, slightly away from the others sit a separate group of four women gossiping loudly among themselves, laughing and clearly enjoying themselves and the fantastic thing that they have in common: they are all adoptive mothers, each of them has adopted a little child from Korea, all of them girls, and would you believe it, they all came from the same children’s home and, as if that by itself wasn’t perfect enough, they all even happen to have the same birthday! What a remarkable coincidence! How could such a thing come to be? It can be nothing less than a sure-fire sign of luck, that Destiny and God’s will have collaborated to make these women’s adoptive motherhoods utterly, utterly special. The girls are by no means siblings: A pair of twins might have been possible to explain, even a group of triplets if you really wanted to push it, but four? No, they had clearly been given the same birthday for a higher purpose. And what purpose more perfectly obvious than to celebrate their birthdays together, every year for the rest of their lives? They will be so happy, and it will all work out so nicely, said one mother. And just think about the birthday cake, replied another. And the third, laughing, said why not pretend they’re all siblings and dress them all alike. And they all agreed that this was a wonderful idea, very happy and content with themselves. I was watching and listening from a distance, and my heart cried for these children. Where’s the respect for the child? We’re met with this attitude the very moment we get adopted, the moment when we lose everything, and it continues to follow us throughout our whole lives. A birthday is a painful reminder of what we lost, an unfathomable loss of everything that was near and dear, safe and true. And since apparently, to Western eyes, all Koreans look alike, it does not matter that we are treated like dolls, little Asian dolls for Western women to play with and dress up in Asian-looking clothes, with Asian-looking haircuts. And each of the little doll-like girls get an Asian-looking doll to play with. How thoughtful of their adoptive mothers to ensure that their adopted children are brought up as outsiders within the society that surrounds them, to drive home, as if with a jabbing finger, the continuous reminder that they are different, as if they don’t stand out enough by their looks alone. When you stand out like that, as a child, you don’t stand out as something special. You stand out as a clown. And not the funny, happy kind of clown, but a clown that is sad and afraid because she’s so different, and because all the others tease and bully her for it. It’s a part that suits us so well because we’re tailor-made for it, having been brought up as cute and adorable little Asian living dolls. And I am truly amazed. Do you, the adoptive parents, really buy this nonsense? Do you not see the connections that are right in front of your eyes? Right, then I shall give you some shocking news. Imagine, if you can, row upon row of baby beds at a hospital or children’s home, and in each bed is a child earmarked for adoption. Some administrator decides that the first few from the left will be given this birth date, the first few from the right another, and so on. Record-keeping is hard work, so why waste it on getting the details right, when the demand for children to adopt is great enough that nobody really cares, and when it’s just as well that there is no paper trail that leads inconveniently back to the original, natural parents? Change a few little things here and there, a new birth certificate with a new birth date, a new name, and falsify any names of birth parents, and you have a falsified record. The children will get new birth certificates anyway, when they get to their new family: birth certificates where the adoptive parents are listed as the real ones. Thus everyone will live happily ever after, and we will celebrate our fake birthdays, with grand parties that you adoptive parents give us, smiling and cheering on that fabulous day. But our true past, that which made us who we were up to the moment when you took over our lives, has been effectively amputated and is lost. Even our names, everything old that might remind us of our past, and thus make us curious about our true origin, must all go, be kept hidden away for as long as possible, until the day the adopted child gets curious enough to begin asking questions. Korea – The Land of “Morning Quiet”? Like aliens in a strange land, far outside the Korean border, many of us struggle with feelings of loneliness and of being outcasts. We grow up looking different from those around us. Some of us wake up, sooner or later, and go on homeland tours and adoptees’ gatherings, and a whole new world presents itself up to us. Suddenly we’re able to see that each of us is no longer a lonely alien individual, but that instead we are parts of a group of many aliens, strangers with similar backgrounds, and similarly out of place. A true eye-opener. 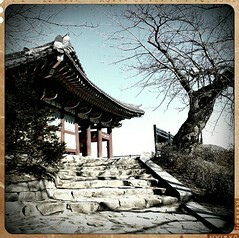 Pagoda in South Korea. Photo by vansero on Flickr. Used under Creative Commons. And we realize that we could all have grown up anywhere, anywhere in the world: here, there, or anywhere else. Ending up where we did was just as random as a lottery ticket. And just as there are winners and losers in the weekly lottery draw, and just as no-one can tell in advance who will win and who won’t, some of us were lucky enough to be put in good homes with suitable adoptive parents, whereas others … well, not so fortunate. And just like with the lottery, the losers by far outnumber the winners. But how much is that golden ticket really worth? And why were we selected for the lottery? We are the debris left behind from the Joseon* (see description in the frame below) or Cho-sen period, when much of the Korea that we know today was formed. This includes the social norms, and specifically the attitude of the government and of people in general towards orphans and children of single mothers: Neither are in very high regard, and society would rather we had been swept under a rug and forgotten about if that was possible. * From Wikipedia: “Joseon” (also Chosŏn, Choson, Chosun, Cho-sen), was a Korean state founded by Taejo Yi Seong-gye that lasted for approximately five centuries. Joseon was the last dynasty of Korean history and the longest-ruling Confucian dynasty. The Joseon period has left a substantial legacy to modern Korea; much of modern Korean etiquette, cultural norms, societal attitudes towards current issues, and the modern Korean language and its dialects derive from the culture and traditions of Joseon. Then came the 1950’s, and the Korean war, after the end of which, in 1953, the adoption frenzy began. In addition to the usual Korean orphans, a new wave of children were born of Korean mothers and American fathers. Those fathers were soldiers who for the most part had returned to the United States, if they had not been killed in battle. Left behind were single, unwed young women and their fatherless children, along with the shame that followed in the eyes of Korean society. In 1955 commercials started to appear, mainly in USA, advertising the need for adoptive parents to take in orphans from Korea, particularly those of mixed race. Korea then became known as the Land of Orphans, a view that it unfortunately has been stuck with ever since. The process was fuelled and fired for a great part by Harry and Bertha Holt who, according to themselves, went into the adoption business for good Christian and humanitarian reasons, although the fact that they made a great deal of money in the process did not seem to slow them down even the slightest. The children who were sent out to be adopted during the first wave, from 1955 to around 1970, were considered true war orphans. Later, through the Eighties and Nineties and to this day, they are mainly children of single mothers, yet still considered orphans for the purpose of adoption. Unfortunately, little has changed in Korea in terms of attitude towards orphans and single mothers since the war. For almost every single “orphan” that gets sent out of Korea, a mother is left behind, heartbroken and very much alive, wondering where on Earth her precious baby is. So are we really fortunate, or what? Our golden ticket is a leftover from the legacy of the Joseon era, making us truly the Cho-sen ones, sent away not because we were lucky, but because we were an inconvenience, a symbol of poverty, a burden of shame, and … surprisingly easy to get rid of. However, many of us visit Korea, once we grow up, and find that our lives have been based on lies. Many of us have families in Korea, or at least had at the time of our adoption, meaning we were never really orphans. In order to be an actual orphan, you must be without living natural parents. For a bewildered number of us, this turns out not to be the case. Many have found their families, even their parents, still alive. Others were not so lucky: To use myself as an example, I was sent away for adoption when I was one year old, yet I learned from my living family in Korea that my father lived until I was five, and he had been searching for me until he died. 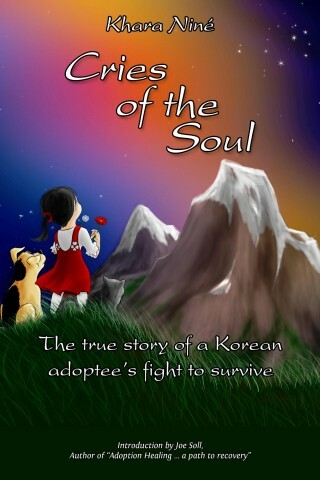 Today Korea is forced to face their shame: Not that of having to deal with orphans and single mothers, which is why they entered the adoption race to begin with, but that of having to admit the lies behind the adoption trade when the adoptees return to find out the bitter truth. Finally, matters are beginning to get addressed, but Korea still has a long, long way to go. Despite being “found out”, they keep on doing it. Despite the country’s low birth rate, babies are still being sent abroad for adoption as orphans, whether they are really orphans or not. Single mothers are still being pressured, and pressured hard, to give up their newborn. Even today, divorce is considered an acceptable and legal reason for putting your kids up for adoption, and the horror is that these children have living parents. As I have said in my earlier posts, Korea needs to part with its medieval ways and bring themselves into the twenty-first century. To allow more generations to grow up as victims of the outdated and ruthless adoption practice is unacceptable. Those children need to grow up in their natural surroundings, and if possible with their natural family. Even actual orphans would be better off growing up in the country where they were born. The war is over now. Korea is no longer the poor country that it once was, back when this all started. In fact, their financial growth has been built in part upon the adoption business. The Holts have caused more than enough damage. It is high time to turn things around. No more mothers should be forced to give up their children, and no more children should have to grow up without their mothers or their natural family. It is madness, and it must end. Korea, the land of Morning Calm. No wonder why you are called that. Since you’ve sent away so many of your children, for generations now, your mornings must be exceptionally quiet. The ghosts of Harry and Bertha Holt must be exorcised, but it will take time for the wounds to heal. Meanwhile children will continue to suffer … but now they cry for justice, and the world needs to hear them. Be quiet no more.